1. Out of the 14.2 million Jewish people in the world, (in 2016), only a minority of 43% reside in Israel. 2. Whilst 75% of Israelis are Jewish, 21% are indigenous Arabs with restricted civil rights. 3. Israel has the highest birth rate in the developed world, with an average of three children per woman. 4. The Netanyahu government now receives more than US$6 billion every year from the US congress/ AIPAC lobby i.e., equating to $1000 annually for every Jewish Israeli, courtesy of the American taxpayer. 5. Israel has induced over 500,000 of its citizens to illegally settle in the Occupied Palestinian West Bank and East Jerusalem in an attempt to frustrate the wishes of the UN for the establishment of an independent Palestinian state for five million indigenous Arabs. 6. Israel is the only undeclared nuclear weapon state in the world with a secret stockpile of up to 400 nuclear warheads. It is not a party to the nuclear Non-Proliferation Treaty (NPT) to which Europe, America and even Iran, are all subject to by the IAEA inspectorate of the UN. 7. Angela Merkel has unilaterally supplied Israel with a deadly ‘second strike’ nuclear capability in the form of a German-built, Dolphin-class submarine fleet that is now more powerful than anything possessed by the defence forces of France, Britain or Germany, thereby leaving all of Europe dangerously vulnerable. 8. Netanyahu, in a direct challenge to the EU, has [recently]authorised yet another land grab in the Occupied Territories in breach of the provisions of the Trade Association Agreement with the EU thereby inviting the imposition of tariffs against Israeli exports to the European single market. 9. 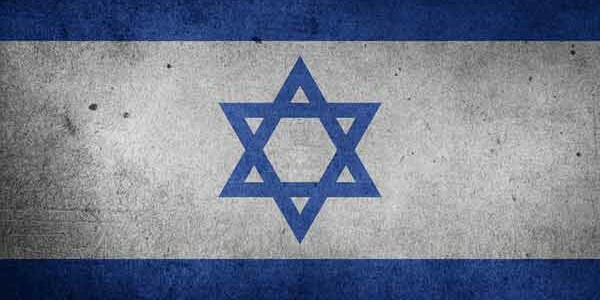 According to published statistics, Israel is the most dangerous place for any Jewish person to live compared to Britain, France, United States or Canada. 10. The father of the current Israeli Prime Minister, was personal secretary to Vladimir Zhabotinsky, the founder of Irgun, a Revisionist Zionist paramilitary organisation. Two of the operations for which the Irgun is best known are the bombing of the King David Hotel in Jerusalem on 22 July 1946 and the DeirYassin massacre, carried out together with Lehi on 9 April 1948.